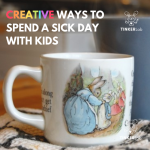 Have you ever noticed that kids don’t need a lot of bells and whistles and fancy stuff to get creative, have fun, and feel on top of the world? Yesterday we foraged some cardboard boxes from a neighbor’s move because 4-year old Nutmeg has a vision of building a space station. 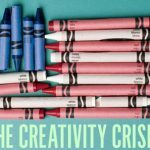 Today I’d like to introduce you to ONE material that helps build creative thinking, and share some tips on how to use it. 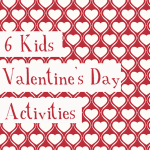 The idea is to keep your life simple while supporting your child’s curiosities. Crayola makes a wonderful product called Air Dry Clay . You can buy it in 2.5 or 5 pound containers. The 5 lb. container is about $10, and if you store it properly it will last for ages. I’ve had our 2.5 lb. tub for about 5 months, we use it about once/month, and it’s still in great shape. But why buy clay, if you have play dough? 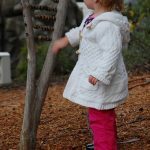 In terms of squeezing, building, and inventing, clay and play dough serve similar purposes, but the texture of clay gives children a different sensory experience. Clay is more dense and requires stronger muscles to mold it and work with it. 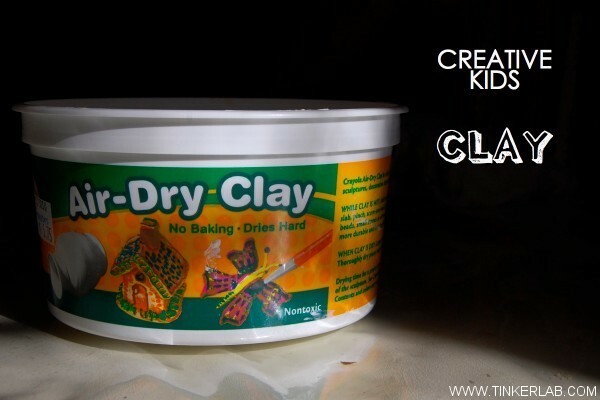 Adding water to clay creates a slippery material that many children love to play with. In the real “clay world” a mixture of water and clay is called “slip” and it’s used to attach one dry clay piece to another. Clay can be molded into sculptures and objects that can be saved and later painted: pinch pots, bowls, alligators, rockets, etc. We always pull all the clay from the bucket and divide it in two, so that each of my kids has a hefty piece. Our table is covered with a plastic table cloth,, and at the end of the project clean-up is easy with a few wipes of a rag or sponge. 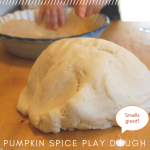 To begin, I usually give my kids a pile of clay…and that’s it! I like to scaffold my projects, meaning that I’ll slowly introduce materials to them. I do this because I find that extending a project like this improves their ability to fully explore phenomena and keeps them from being done in 3 minutes flat. You’ve had that happen right?! Once that runs its course, I’ll give my kids a small bowl of water so that they can add it to the clay to moisten it. Older children will probably dab the water with their fingers and add it to the clay as needed. My monkeys, on the other hand, are champions of bowl-dumping. And that’s fine. If the table is getting too wet I’ll limit them to “x” number of bowls. They love playing with the clay when it’s wet…it’s a totally different sensory experience. And finally, I’ll introduce them to a simple tool such as popsicle sticks, toothpicks, wooden knife, glass marbles, etc. Again, I usually try to keep this to one material so that they’re not overwhelmed by choices. 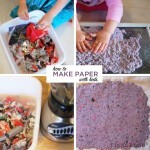 Having one material to add to the clay invites them to push their imaginations and test multiple solutions to problems. When they’re done, the clay goes back into the container. 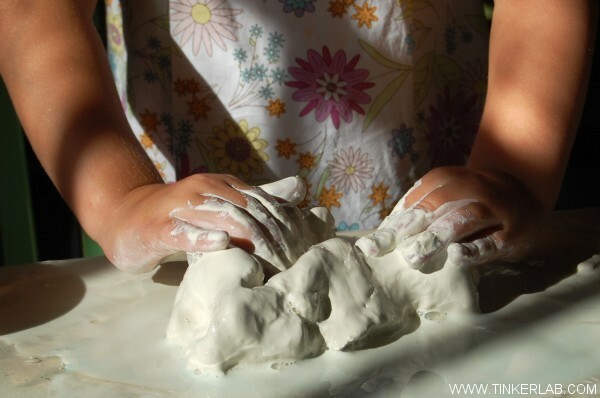 While this clay is designed to “air dry” we solely use it for the purpose of sensory play, fine motor development, and imagination-building. I wipe the table down with a clean, damp terry cloth rag. Any clay that gets on the clothes should wash right out. Put clumps of clay back in the container or in the trash. It’s important that clay doesn’t go down your sink, or it will clog your pipes. I’m planning to write about other art and exploration materials: is there anything that you’d like to see me write about? Mr. Rogers Episode 1763: Celebrates the Arts . Mr. Rogers meets potter Dolly Naranjo who forages clay from a hillside, mixes it with volcanic ash (with her foot! ), and shows us how to make a coil pot. If you have Amazon Prime, you can screen it for FREE by clicking on the link. Clay and Children: The Natural Way to Learn. By Marvin Bartel at Goshen College Art Department. A wonderful resource by a potter on teaching children about clay. 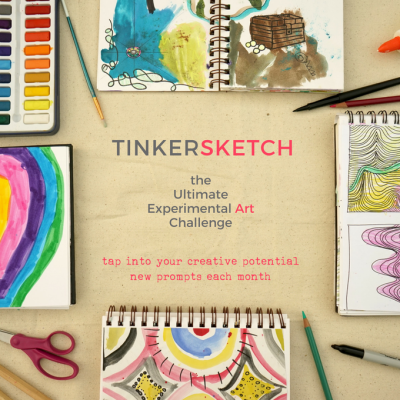 I love letting my kids play with various art supplies and I like this theme, but I am wondering why something like play dough wouldn’t work for this. 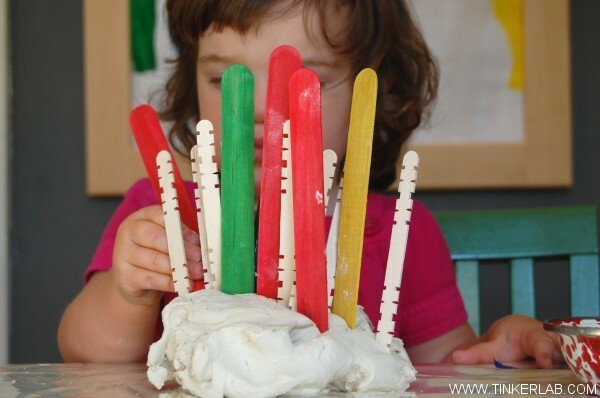 I guess the question I am asking is why give them air dry clay for this activity when I think something much less expensive (and easier to clean up) would allow the same sort of exploration with molding and building with things like popsicle sticks. I ask because I just got a big block of air dry clay (not Crayola, but hopefully as nice) and was thinking I would try to introduce my kids to basic pottery making or sculpture with a medium they could keep and paint. Any suggestions for this type of activity? I don’t want to direct it with a heavy hand, but I would like to do something different than we do with play dough, which they use much in the way you described above. And if you have any suggestions for pom poms, foam stickers, and sequins (other than collages on paper and clear contact paper, cards, or “mixed media” things with drawing, painting, and stickers/sequins), I would appreciate it. My kids are drawn to these materials in stores and we have tons. I am just not sure how to use them in ways we haven’t before. Thanks for pushing me to clarify the differences between play dough and clay. Based on your question, I edited the post to expand on this. The process I’ve described is a good way to introduce children to clay so they can understand its properties and limitations. Once they “get” what clay does, you could take it a step further and introduce them to pinch pots, coiled pots, and simple sculptures. This all depends on how old your kids are (mine are under 4, and my older child may just be ready for pinch pots). Have you made one of these? You start with a ball of clay, indent a hole in the middle, and then pinch a bowl from there. These are really easy to make and a good place to start. Feel free to shoot your ideas or questions back at me if I’ve missed something. 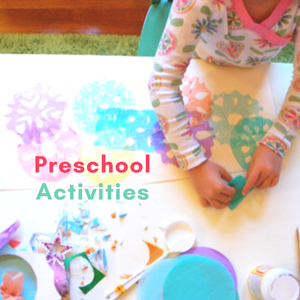 My kids are also attracted to pom-poms and glittery craft materials. 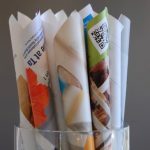 I love the idea of finding ways to expand the way we use these materials. Thanks for the suggestion! As an art teacher I would use this clay for students that were absent for real clay and they never knew the difference! Crayola air dry clay is truly awesome. @ Erica it is totally different than play dough….you can make pinch pots, sculptures, jewelry pendants, and when they dry they are as if they were fired (cooked) in a kiln! Especially if you use white clay….not sure if they make red crayola air dry. Love the pics of Rainbow Rachelle…..she is so sweet! I remember you mentioned that you used this in your classroom before. I think it’s a great material too, and does feel a lot like “real” clay. 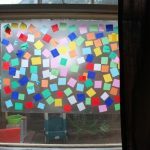 Thanks so much for sharing the link to your post — I’ll add it to the resources section of this post. As you continue to introduce young children to the arts, I’d love to read a post about weaving on a loom. My mom weaves on a traditional Navajo loom. Her two grandsons, my children, have expressed interest in it. We are considering getting them a small loom for next holiday. I have always wanted to learn French corking on those little wooden mushrooms myself! I’ve seen some nice looking weaving products in our local Waldorf school’s shop, but I’m somewhat clueless in this area (at least at this moment!). Thanks for the suggestion, Catherine. And I know nothing about French corking — can you tell me more about it or direct me to a link? I’ve never seen crayola air dry clay here… must look for it next time we are in town. We love using clay… it really is quite different to play dough and offers a very different experience. My older children especially like it because it holds it’s shape better than play dough and they are much more inclined to want to make something to keep so this is perfect. 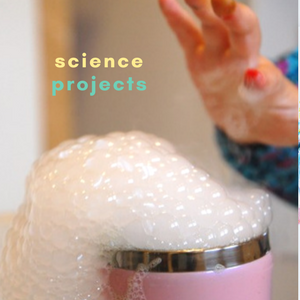 For littler kids it has a really different feel… kind of like offering a new material in a sensory tub…. Love it. You’re so right, Kate — this material does have a unique sensory quality to it, and it does imply that you could make something that will LAST. As children get older, the product can become just as important as the process. My 4-year old is just hitting this stage, and I can envision that the way we use this clay will change in the near future. I saw this post on FB and got some Crayola Air-Dry Clay today at Target. What a different feel than playdough and FIMO (a favorite medium of mine from long ago)! My daughter liked it, and sculpted a little dough man. I made a little tiny coil basket, and my son rolled some tiny eggs to put inside the basket. Basically, he treated it like playdough, but decided he didn’t really like the feeling of it. However, as he washed his hands, he exclaimed, “it’s SO much better with water!” I’d just read the bit about adding water on the package, so I gave him a little bowl of it and he had some real sensory delight. He had clay all over his hands and forearms, and then sculpted a . . . rock. 🙂 I’m looking forward to painting their creations with them in a couple of days. By the way, what’s the Crayola Model Magic like? I haven’t tried an air dry clay yet with my daughter, but now I am really looking forward to it. Thanks for the tips. hey, what an interesting idea!! I might have to give it a try! 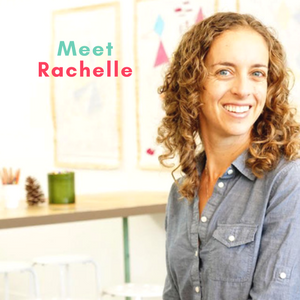 Thanks for sharing..
What a fantastic and helpful post this is Rachelle. Thank you. We use clay a lot, which I love, but I’ve never tried this kind before. I can’t wait to get some. All the links you gave and the idea of adding water is so great. Thank you for this! Thank you so much for the lovely comment, Meri. You’ll have to let me know how it goes.